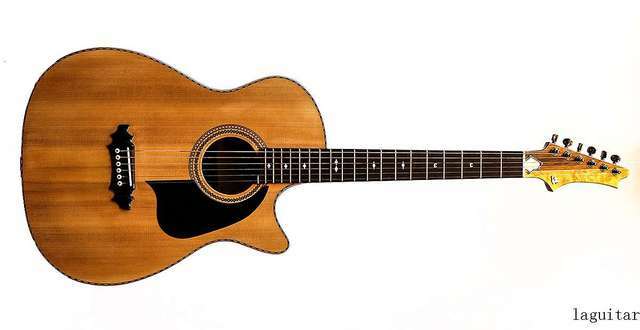 LA CATEDRAL guitar brand from1921, known as the "guitar fiend" Barrios(Agustin Barrios Mangore), is a talentedguitarist LA CATEDRAL, the creation of the"cathedral", to commemorate the song, PabloLequena (guitar builders Pakistan burro. Luckner a brand). Born in Spain's HandmadeGuitar Workshop, has a history of nearly morethan and 100 years. Paul Gregory (PaulGregory), John Mills (John Mills), JorgeCardoso (Jorge Cardozo), Javier Garcia(Javier Garcia), and the late Amy Winehouse(Amy Winhouse) and many musicians areplaying LA CATEDRAL guitar. LA CATEDRAL guitar adhering to ahundred years of traditional Spanish obliqueinsertion process, to build high-quality guitar. Not only is the production of sophisticatedtechnology, material selection is also veryelegant, each material selected from theworld's top suppliers of materials, carefullyselected, every piece of wood material aftermore than three years of natural dryingprocess, especially for air humidity, dryingdegree have very strict control. LACATEDRAL (Cathedral) attaches greatimportance to the design and quality of theproduct, the sound beam structure developedby luthier class dozens of domestic andforeign performers consultants, strictimplementation of Standard Spanishproduction process in the production process, improve the quality management system, sothat each production link has reliable qualityguarantee. 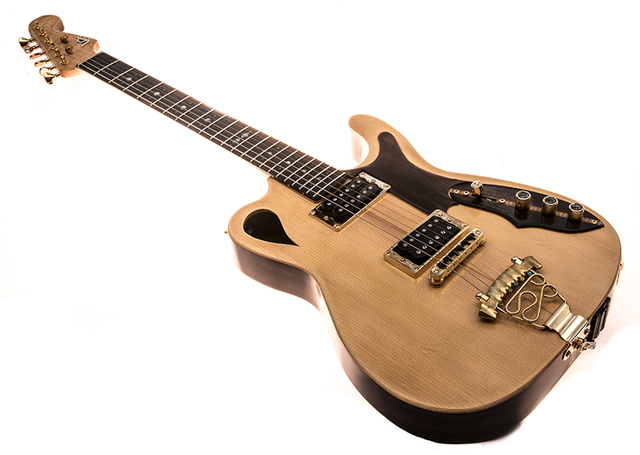 In the finished production iscompleted, and by professional performanceevaluation division, composed of tuner, coating inspectors of the quality inspectiondepartment, finally completed a qualityinspection link, the test included the intonationand string fluctuation test, under the pillowheight adjustment, string and fretboard linesand the fingerboard conformity inspection, combined with the product itself differenttypes and different tension design concept, toensure that every guitar can reach the use ofprofessional and senior people playing guitarlovers request.